It is hardly a surprise to anyone that the conditions in the so-called refugee “hotspots” in Greece and Italy is extremely problematic. However, when the criticism comes from the European Court of Auditors (ECA: a highly respected oversight body) it should stimulate action. The newly released ECA report confirms many of the negative findings identified by ECRE and its members in research in the hotspots published in late 2016. The situation continues to deteriorate by the day, with rising incidences of self-harm and violations of fundamental rights being of particular concern. The hotspots were created to tackle two avoidable problems. First, the absence of safe and legal routes to reach protection in Europe (and elsewhere) which forces refugees to take dangerous and traumatic journeys to arrive in Italy and Greece. The report uses the expression “irregular migrants” meaning that people arrive in an irregular way – but it should be noted that almost all the men, women and children arriving in Europe have no other choice and that the majority of them are in fact entitled to protection. Second, the dysfunctional Dublin system which places a disproportionate responsibility on the countries where asylum-seekers arrive. Responsibility for asylum claims lies with the country where they arrive, as does provision of protection in most cases (at least in theory). This situation also generates perverse incentives: “countries of first arrival” may consider it to be against their interests to provide decent conditions and properly implement EU law. Their lack of compliance means they avoid “Dublin transfers” of people back from other Member States. We have argued very strongly that it is illegal to return asylum-seekers to Hungary because of the dire situation there – and courts across Europe agree. However, Greece has been unsafe since 2011, as per a ruling of the European Court of Human Rights. In the short term, we are campaigning for improvements in the hotspots, including decent conditions, access to legal advice and information, independent monitoring, speedier vulnerability assessments, proper care for unaccompanied children as a matter of urgency, and an end to coercive practices. 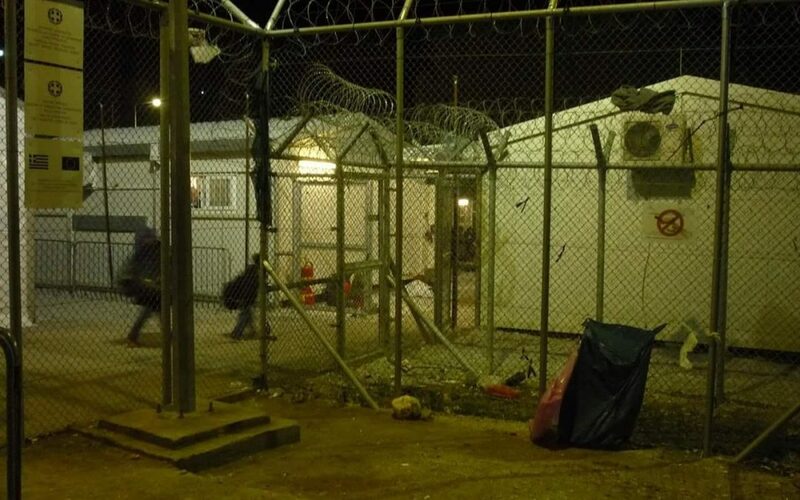 In the long-term, the whole Common European Asylum Systems needs to be reformed, with an overhaul of Dublin to create a system based on fair division of responsibility. Currently, relocation is the only game in town and it is imperative that all Member States step up their actions to relocate people out of the hotspots; the Court of Auditors rightly notes that other Member States are not meeting their pledges. We have developed alternatives to Dublin, based on a “matching system”, and argue that the reform proposals on the table are flawed. Collectively, Europe can cope with the movements of people from other regions seeking protection here – indeed we would benefit. Warehousing people in the hotpots or in countries surrounding Europe is not a solution and can only lead to increasing despair, self-harm, health problems, and even suicide. This cannot be all that Europe has to offer the 2,500 children mainly from Syria, Afghanistan and Iraq stuck in Greece or the 20,000 children in Italy, fleeing conflict and persecution in African countries like Eritrea and Nigeria.